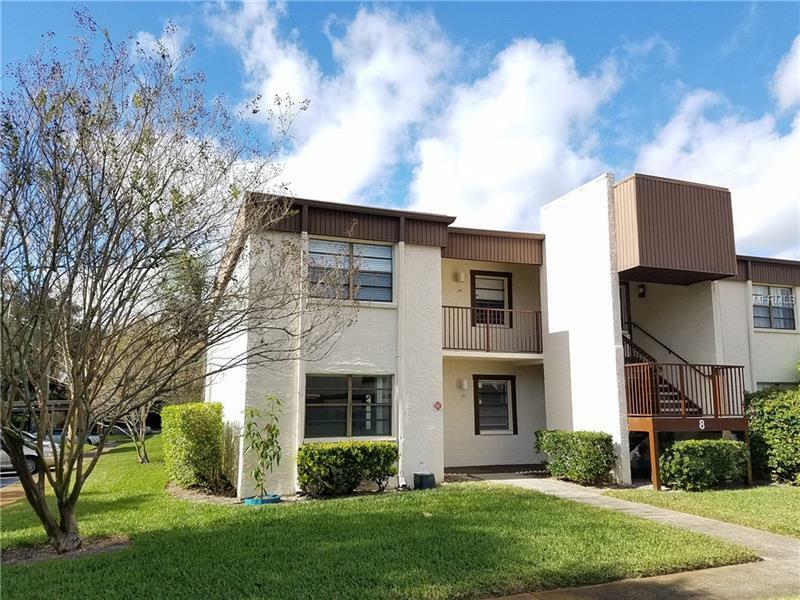 * * * GROUND FLOOR CORNER UNIT * * * Comes with carport right in front of unit. Additional guest parking at side of unit. Great room consisting of living dining spaces. Large master suite with walk-in closet and master bathroom. Sliders from living room and master bedroom out to screened patio. Split bedroom plan. Utility closet with stackable washer/dryer. LOTS OF AMENTIES with this complex â Community clubhouse with gathering room, game room, meeting room & small kitchen. Outdoor grilling area. Large pool and tennis court. GREAT LOCATION. Just minutes from Westfield Mall, other stores, restaurants and grocery stores. 20 minutes from Clearwater Beaches and their world famous white sugar sand. 20 minutes from Dunedin Causeway and Honeymoon Island. Easy access to Tampa Bay International airport. Amenities Additional Fees: Buyer to verify all information with Management Company. Resource Property Management. 727-796-5900. * * SPECIAL RAILING and LANDING ASSESSMENT - $100.00 per month.